Robinwood Station: Robinwood Station Needs Volunteers and Donations! Robinwood Station Needs Volunteers and Donations! 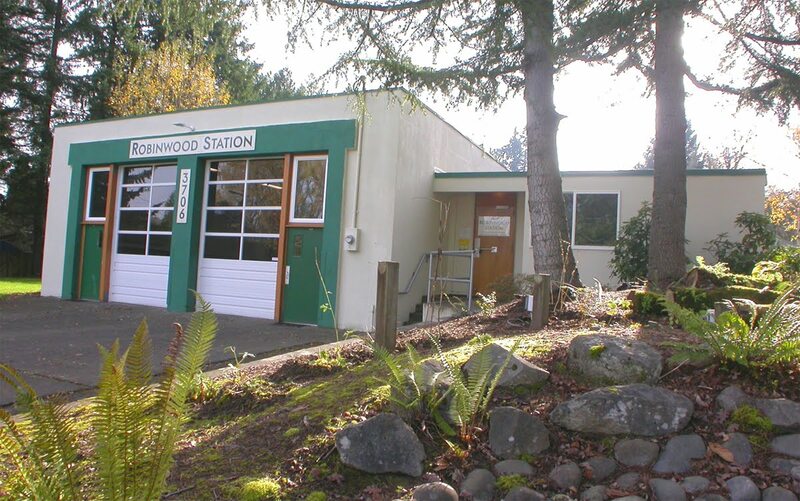 The Robinwood Station Community Center can use donors and hearty volunteers with expertise and resources to contribute to our mission to operate and upgrade the Station. Donations of cash, building materials and furnishings may be tax deductible. Please contact us. Good working electric range and dishwasher for the Kitchen. 3 commercial quality rugs approx. 10' x 10' for the Bay area. Decent leather sofas and love seats. Large flat screen TV for the Board Room. Commons restroom remodel: Plumbing, tile work, fixtures. New restroom in the Bay area: Mechanical, tile work, fixtures. Kitchen remodel with cabinets, counters, new energy efficient appliances and electrical work. Roof replacement with seismic upgrades and insulation. New or Used commercial glass entry doors. Concrete floor staining and coating in Bay. Site drainage, rain garden and parking lot paving. Pavers, river rock and basalt curbstone. With online education we can save our money and time wasting with go outside and spend money on fuel and parking stand. We can study online in college paper reviews and home just less expense of internet and no need to go outside for school. We can hear out teacher online.